Download the application for iOS or Android and create an account by confirming your email address. This will allow you to enter and explore FindGet Jobs application. In order to apply for Job opportunities or contact candidates, become visible by creating your CV or Job Offer and confirming your phone number. As soon as everything is setup, application will automatically notify you about the best matching candidates and job offers. 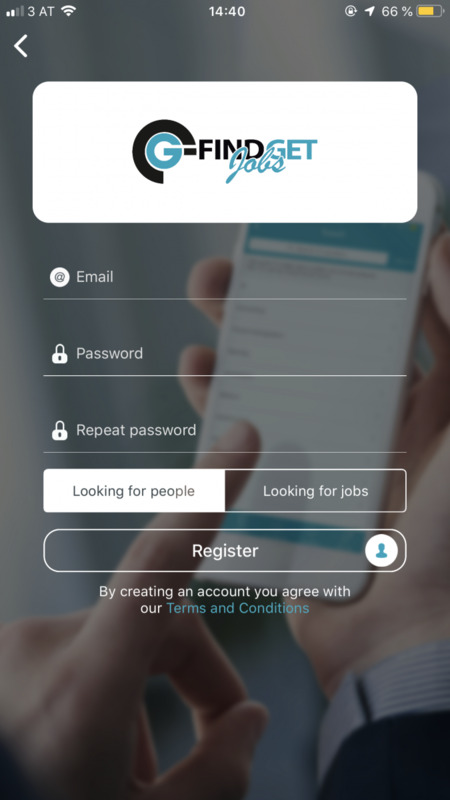 While applying for Job opportunities FindGet Jobs allows you to create multiple CVs for each position and select the one you want to share with the company. For companies, get in touch with selected candidates directly by clicking on the candidate profile. Setup an interview with candidate or a company you are willing to talk to, discuss all the relevant questions and hire or get hired.